A CLOTH OF COTTON WRAPPED AROUND A HORSESHOE OF IRON TOSSED UPON THE CREST OF A WAVE. 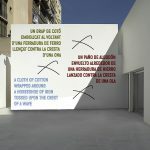 The new work by Lawrence Weiner is this group of words, and the materials, objects and actions that these words describe. 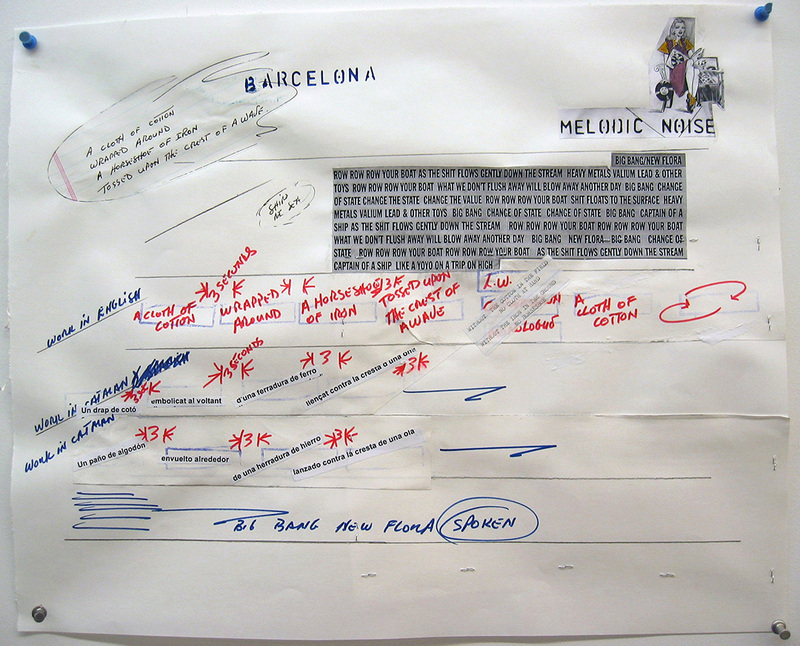 It is also these words materialized, this occasion in Barcelona, in four modes and in four different places. 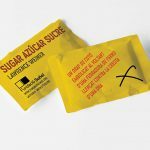 The first part of the project is manifested as hundred of thousands of sugar packets distributed in bars, restaurants and cafés throughout the city. 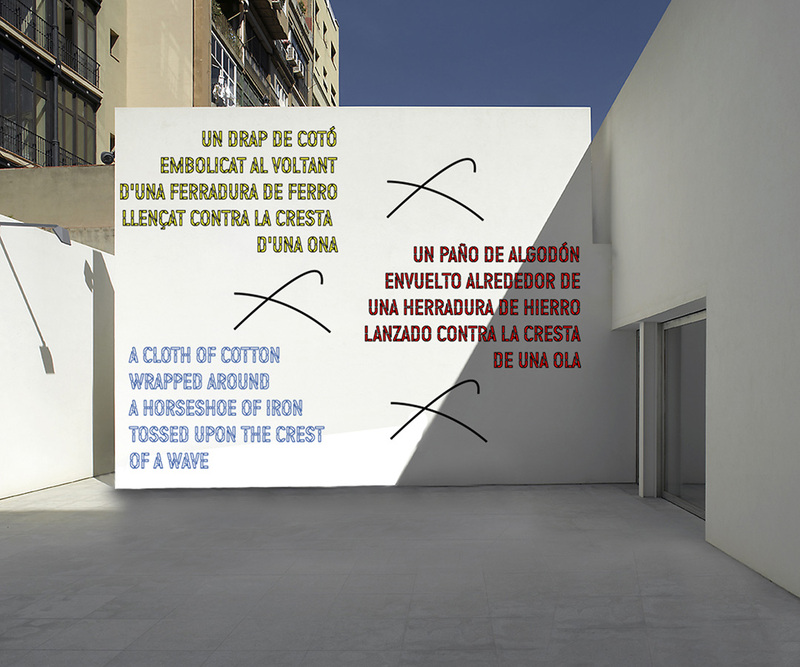 The second and third parts are presented at Nivell Zero at Fundació Suñol, where Weiner presents an adaptation of the sentence painted on an exterior wall of the courtyard. In the interior space we listen to the same statement within a catchy musical composition based on a track by Ned Sublette and The Persuasions. The last element of the project manifests itself as a small event: an iron horseshoe will be wrapped in cotton cloth and will be tossed upon a wave’s crest. Lawrence Weiner was born in the Bronx, New York, in 1942 and was educated in the New York City public school system. 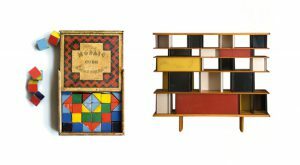 His first one-person show was held in 1964 at the Seth Siegelaub Contemporary Art, New York. 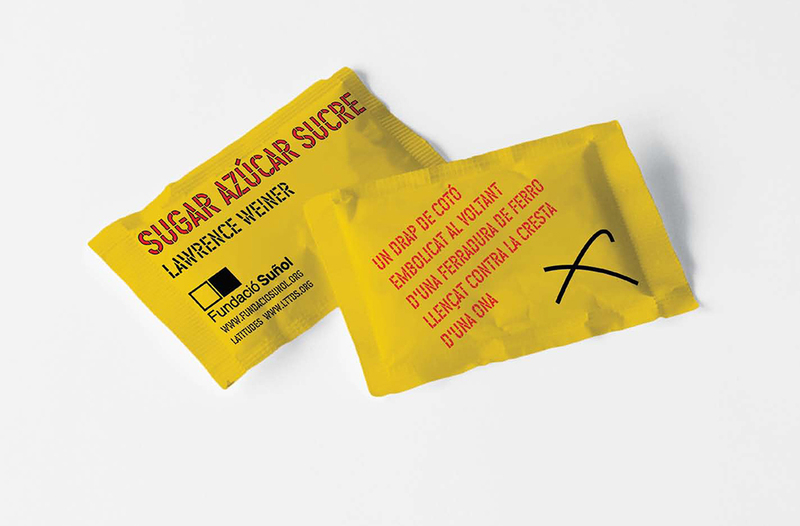 Some of his numerous solo exhibitions include: Wide White Space, Antwerp (1969); Stedelijk Museum, Amsterdam (1988); Dia Center for the Arts, New York (1991); Bawag Foundation, Vienna (2000); and most recently the travelling retrospective ‘Lawrence Weiner: AS FAR AS THE EYE CAN SEE’ (Whitney Museum of American Art, New York; The Museum of Contemporary Art, Los Angeles; K21 Kunstsammlung Nordrhein-Westfalen, Düsseldorf, 2007–9). 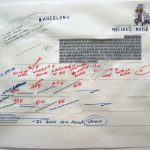 In Barcelona his works have been included in exhibitions such as ‘Between the Pyrenees and the Mediterranean Sea’, Fundació Espai Poblenou (1995); ‘Interfunktionen 1968-1975’, Fundació Joan Miró (2004); and ‘Public Space/Two Audiences: Works and Documents from the Herbert Collection’, Museu d’Art Contemporani de Barcelona (2006). Weiner lives between New York and Amsterdam.